A water iris that reminded me of a bird. Samsung s8, f1.7, 4.25mm@unknown exp., processed in phone and Picasa. All C&C welcome. Please click on image. Thanks. 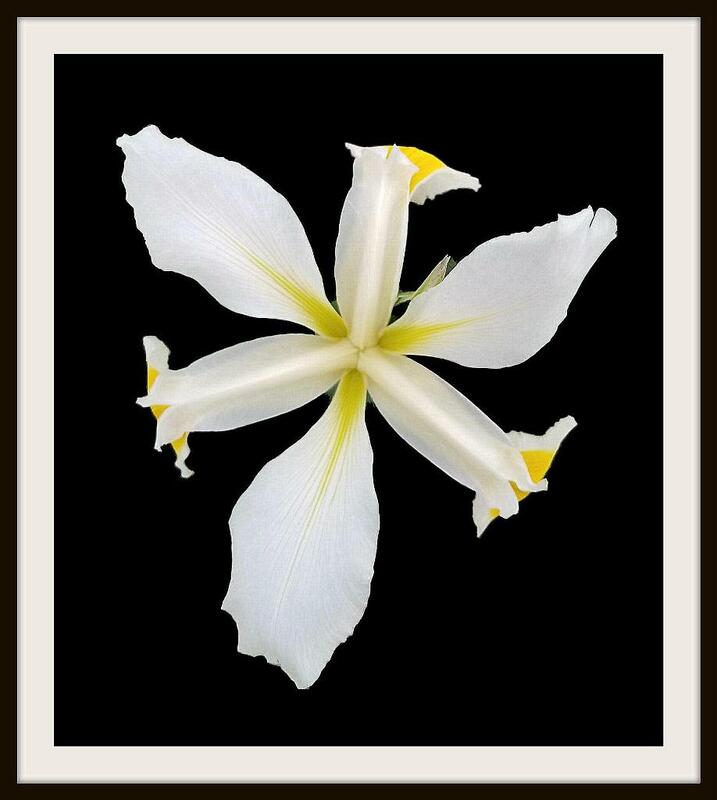 A very dramatic presentation of the lovely white Water Iris on the dark background, Joe. The touch of yellow in the Iris makes it come to life for me. Nicely done. Very nicely done, Joe! Beautiful symmetry in the flower, but with just enough difference in the petals to make it interesting. The yellows definitely spark it up. I love Iris flowers, both to look at and to photograph. This is certainly bird like, and the yellow/white colours are lovely against the dark background. I keep expecting this one to start whirling around, like a pinwheel firework!